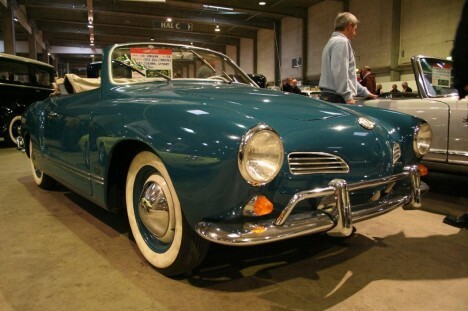 The Volkswagen Karmann Ghia is considered as a rare collectible. The German gem, as it was once called more than four decades ago, still projects the same image of wealth and prestige that it once did in the earlier days of motoring. The Volkswagen Karmann Ghia is an exquisite sports car that was designed in post-War Italy by the automotive design company, Ghia. Sounds familiar right? Prior to the tie up with Karmann Ghia, Volkswagen was more popularly known for manufacturing small cars with fuel efficient engines like the Volkswagen Beetle. Volkswagen cars are synonymous to reliability and since they consume relatively smaller amounts of fuel, they were also the choice of the environment conscious motorist. During the 1950s, after World War II, war-rationed citizens wanted a more aesthetic and prestigious automobile to be able to bury war torn memories in the past. Volkswagen understood what the consumers were looking for, being the people’s car, it focused on the public’s need for an image car. Volkswagen relied on the genius of the Ghia and Karmann corporations to be able to build the eagerly anticipated image vehicle for consumers. Would you believe that the actual design or the Volkswagen Karmann Ghia came from the modified design of the Volkswagen Beetle? Come to think of it, the Karmann Ghia appears to be the slightly flattened at extended version of the People’s Car! The Volkswagen Karmann Ghia made use of the original floor plan of the Volkswagen Beetle. The floor plan was extended to about a foot long. And since the Beetle was on the lower price segment, luxury features were added to the Volkswagen Karmann Ghia since a relatively high end vehicle was what the people wanted for a change. Because the Volkswagen Karmann Ghia was generally handcrafted, it was definitely more costly to produce. Without the efficient and relatively faster assembly line manufacturing to rely on, the effort involved in production was quite demanding. In an attempt to finish the Volkswagen Karmann Ghia in a reasonable amount of time, within the specified timetable, the manufacturers resorted to melding the parts as one unit doing away with additional assembly required when nuts and bolts are used. Although this procedure saved time, it was still more costly and was never again repeated even for contemporary manufacturing setups. Volkswagen introduced a convertible model of the Karmann Ghia in the fall of 1957. In the following years, the Volkswagen Karman Ghia encountered continuous changes in its exterior design and successive model improvements. A noteable design modification at the onset of the 60’s when the front grille was replaced by a bigger design, with the tail lights reshaped to resemble cat eyes. In the mid-70’s, the Volkswagen Karmann Ghia lost its backseat, which was barely usable in the first place, to seatbelt regulations which plagued the said model. But the defining feature of the Volkswagen Karmann Ghia was really the electric retractable sun roof which propelled the image of the car to the image car of the decade. With a push of a button, the sunroof could slid open and shut proving to be a major hit with the general consumers!